4 Eco Services, Kansas City Areas’ premier eco-friendly and environmentally conscious plumbing, HVAC, and water filtration provider, has announced today that it will be exclusively providing Environmental Water Systems (EWS) as their water filtration product of choice. 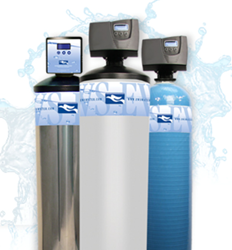 Environmental Water Systems has been a proven leader in Whole Home Water Filtration for 30 years. EWS was chosen as the exclusive water filtration for the 2011 National Association of Home Builders (NAHB) New American Showcase Home, showcased by numerous publications, and is available in over 700 kitchen and bath showrooms in the United States. With today’s city tap water containing chlorine or chloramine (a toxic chlorine-ammonia compound that is lethal to marine life and corrosive to pipes and appliances), pharmaceutical residues, pesticides, obesogens, and more, we are putting ourselves at risk for developing health issues. Our bodies absorb more chlorine in a 10-minute shower than if we drank a gallon of unfiltered tap water, so we must be aware that we can drink, inhale, and absorb these contaminants. “The President’s Cancer Panel reports that there are over 80,000 understudied and unregulated contaminants in our tap water, some of which are directly linked to cancer. EWS has never focused on taste or gimmicks or the latest trend. We focus on health. We focus on our products’ ability to remove these contaminants and protect us – not cover it up by making the water simply taste better. Taste does not equate to health or quality. If it did, then French fries and cookies would be health foods,” says Truncale. “4 Eco Services is committed to providing our customers with unparalleled service and exceptional value, providing EWS is just an extension of that philosophy. It was important for us to align with a company that is continually improving their products to meet the changing water conditions of the families we serve. Their new chloramine filtration line is like none other on the market, and is just one example of their commitment to cutting edge performance,” says Williams. EWS whole home filtration appliances are meticulously engineered and made in the USA to meet years of uninterrupted, hassle-free protection. The quality, value, and longevity of EWS appliances are unsurpassed, and backed by an award-winning customer service and support team. Their proprietary carbon media is the highest grade and purest granular activated carbon available, with zero fillers or binders, and no chemicals or additives. For more information on 4 Eco Services and their eco-friendly home services, visit http://www.4ecoservices.com or contact Ian Williams at 816-241-2112. 4 Eco Services is a leading home services company in Kansas City, Missouri, that is committed to protecting and preserving the environment with home systems that are eco-friendly and energy efficient. We are happy to provide our customers with reliable, same-day services for their home.